There’s something about colder weather and limited sunlight that make people drink more brown spirits, from aged single malt to extra anejo tequila to barrel-strength rye whiskey. “The fall, winter season is a popular time of year for the whisk(e)y category,” says Andy Nash, vice president of marketing for William Grant & Sons. “After a hot and humid summer, folks look forward to those change of season moments and switch out their summer drinks for something warmer while home entertaining on chillier nights.” Browse the gallery above to check out some of the most notable new spirits from 2017. 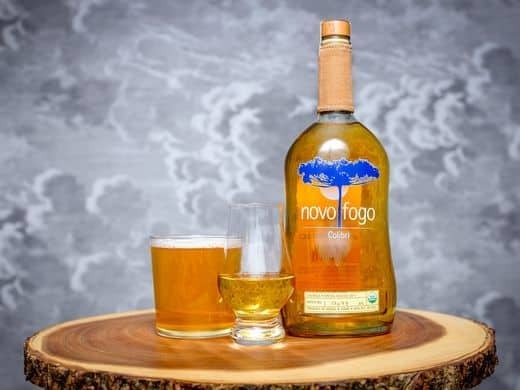 Cachaca is an extremely popular spirit in Brazil that is starting to gain traction in the USA. Novo Fogo’s new Colibri ($35) was matured in two types of wood, oak barrels and amburana (Brazilian teak). You can sip this on its own or substitute it for whiskey in an Old Fashioned.